If you’ve seen any of my baking recipes, you probably already know I love to bake. Whether it’s bread or a yummy dessert, baking is something I love to do. And it’s something my family really appreciates. Over the years, I’ve come up with a few items I just can’t or don’t want to do without. Items that make it easier for me to make my yummy baked creations. If you have someone who loves to bake on your Christmas list, take a peek at my favorite baking items. I’m sure they would love to have any one or a combination of these items under the tree for themselves. Just so you know the links below are my affiliate links. When you use these links and make a purchase, I might make a little money at no extra cost to you. Thanks for your support in this way. You can read my disclosure policy for more information. 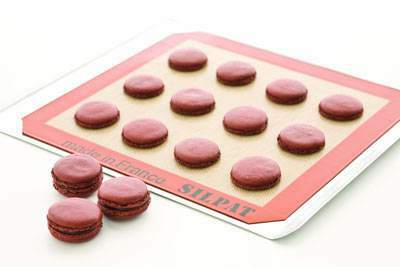 I love my silicone baking mats. I have a Silpat brand mat, but I noticed this two pack that looks good too. I’m sure either one would be great the two pack mats are less expensive. 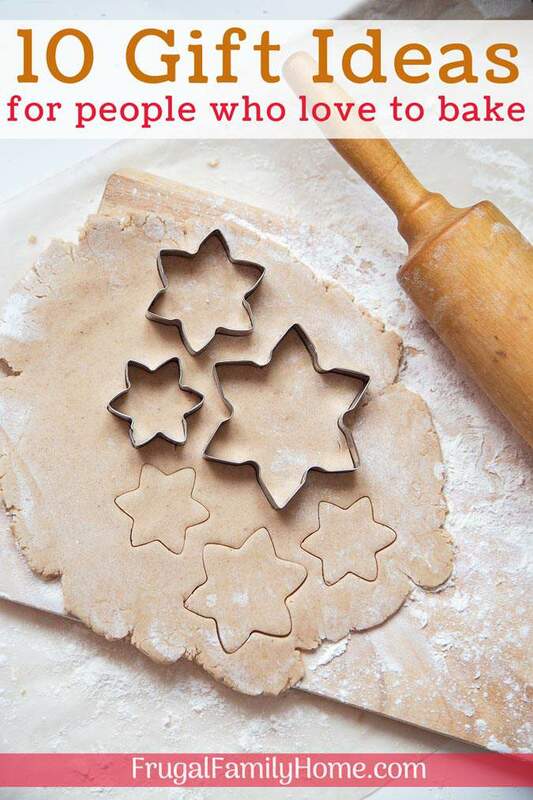 These silicone baking mats are great no only for baking, but also great for rolling out cracker dough and then transferring to the baking sheet. I also use them to make my almond bark candy on each year, instead of using wax paper. They really are quite versatile. I don’t know how many cheap spatulas I ruined before I finally purchased a set of heat resistant ones. 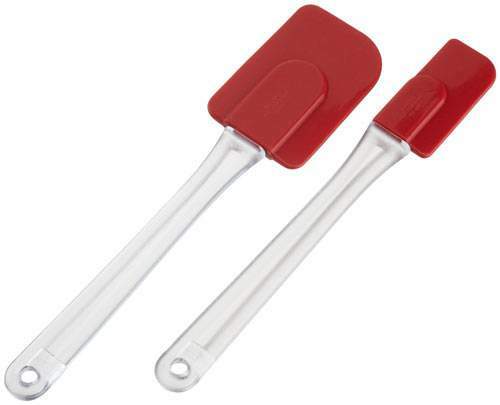 I love to use my spatulas for hot and cold items and so having heat resistant ones are a must. I use my spatulas for cooking scrambled eggs scraping bowls and mixing things. I like to have two sizes. One larger one for cooking with and a smaller one for getting into jars to get the last bit out of them. I’ve had this set from Good Cook for about a year now and they have really held up nicely. A nice set of easy to use mixing bowls is another item I can’t live without. 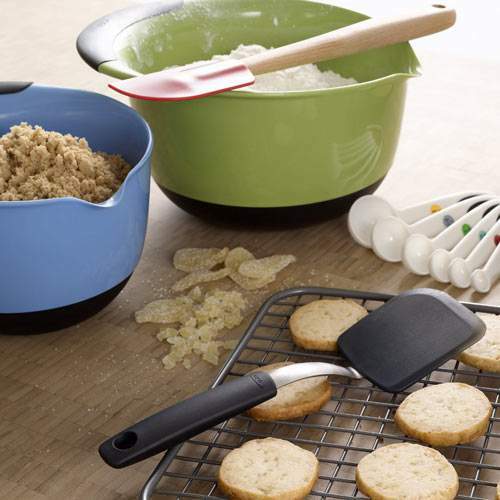 I have one of these OXO Good Grips mixing bowls. I love it. It stays put on the counter and I can easily hold onto it with one hand while my kids are helping me bake. They are easy to clean and with the spout on them so easy to pour from too. I think these little baking cups are such a great invention. The baking cups can be used without a muffin tin. Just place them on a baking sheet, fill them up and bake. I have the standard sized muffin cups, great for muffins, cupcakes and making mini meatloaves. I have the mini size muffin cups too. The little ones are great for bite-sized muffins, muffin donut holes, and mini brownie bites. 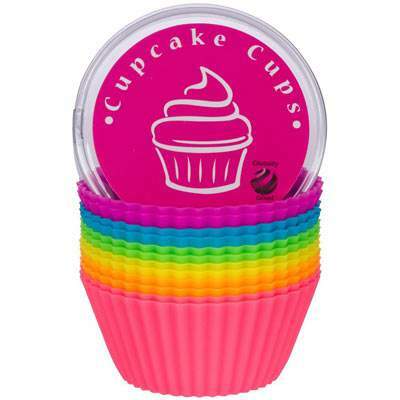 Plus for parties you can serve the cupcakes in the actual muffin cups, no need for paper or foil liners. I have a set of my mom’s old measuring spoon. They are orange and made by Tupperware oh so many years ago. I use them, but I almost always need more than one set of measuring spoons. It’s alway inevitable that the one spoon I will need is in the dishwasher so having an extra set is nice since I cook from scratch often. My second set of spoons are these Kitchen Aid Measuring Spoons. They are heavy enough metal I can scoop into hardening brown sugar without bending them. Which I really like because I’ve gone through so many other sets of the cheaper metal ones. This set is really made to last. It has the 4 basic measurements which I find works well. They are also shallow enough that it’s easy to get sticky substances like peanut butter or butter out of them easily after measuring. For dry measuring cups, I have my mom’s old set of orange Tupperware cups that are probably pushing 30 years old. 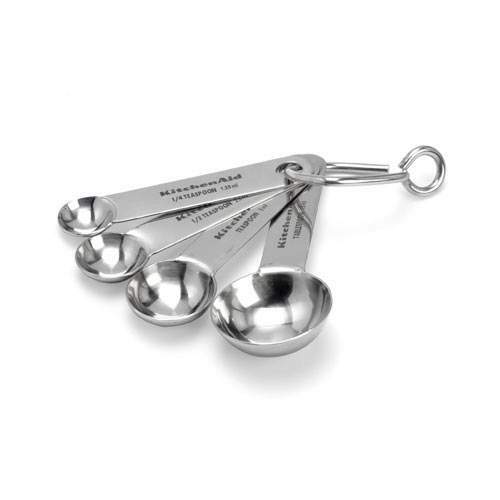 But this set of XOX stainless steel measuring cups looks like a nice set if you are looking for some. The nest nicely and have a magnet to keep them together in the drawer. But if you happen to see an old set of Tupperware measuring cups at a yard or estate sale grab them up. I do see them from time to time. 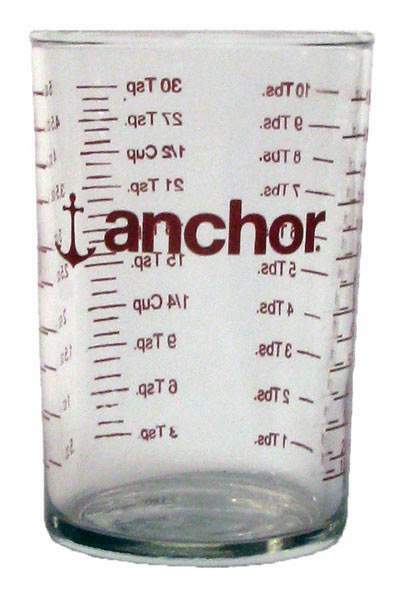 My friend let me know about this cute little half cup liquid measuring cup. It is such a great tool. 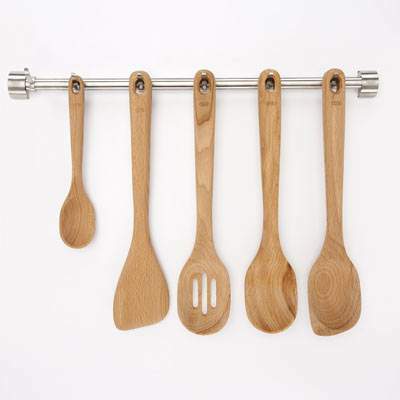 It has sections for teaspoons, tablespoons, and ounces. Making it easy to measure out lots of different liquids in one cup, which means fewer dishes to clean after baking, always a plus. I also have this set of Good Cook liquid measuring cups for measuring larger amounts of liquid. I really like them because you can read the measurements from above instead of just from the side. So convenient, especially for the kids when they are helping me. For years, I just cooled my cookies and baked items on the cutting board. But they would always get a little soggy on the bottom. 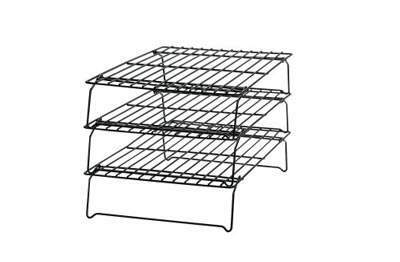 Then one year as a gift I was given a set of 3 tier cooling racks. I really like them. They do exactly what I need them to do, keep my baked good from getting soggy as they cool. But I love that they stack. I can cool 3-4 dozen cookies at once and only take up a little of my counter space because these cooling racks stack. Definitely a great feature. I used to purchase my wooden spoons from the dollar stores or purchase the cheap ones at other stores. But when I’m mixing up heavy dough like my bread recipe these cheaper spoons can bend and I’ve even broken a few. But a few years ago my family purchased me a few of these heavy duty wooden spoons. I really like them. They are sturdy and even stand up to my bread dough well. I think the only drawback to them is the handle is a little thick for my small hands, but I still love them. I use my whisk often to blend the dry ingredients before adding my wet ingredients for waffles, pancakes, and muffins. 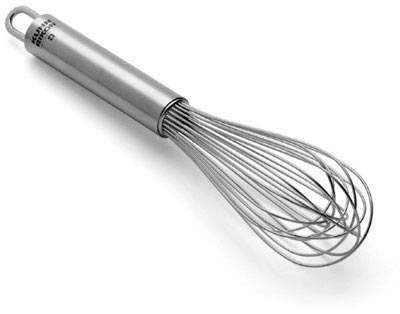 I’ve had a few lower quality whisks over the years. They all end up with water in the handles and then they rust. But this whisk, I’ve had for 5 years now and it’s still perfect. This whisk has definitely been worth the money spent on it. I also have the smaller whisk for mixing up a brownie in a mug and for whipping two eggs in the morning. This one has held up 5 years too. I used to go through one hand mixer a year. Seriously, I would burn one up almost every year. That is until my hubby bought me a Viking Hand Mixer. This one has survived my use for the last 4 years. It has well outlasting the other ones I’ve had. I’m sad to see it’s not available through Amazon currently since it is such a good mixer. But I wanted to mention it just in case you find it at another store. It’s been a great hand mixer for me. I also have a stand mixer. I had heard about the Electrolux Assistent stand mixer years ago. 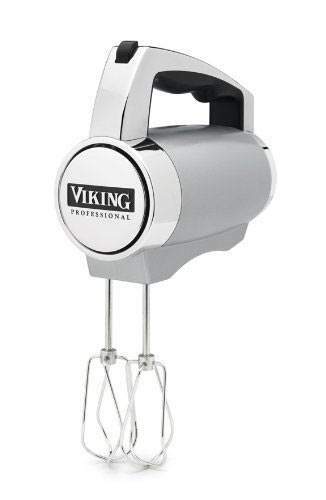 I had heard it was a nice sturdy mixer that held up to making multiple loaves of bread in one batch but was also a good all around mixer. Then I saw the price, ouch. I needed something to replace my Kitchen Aid mixer that was slowly wearing out and the part we needed was no longer made. It was my mom’s old Kitchen Aid mixer so it had lasted really well. I waited and saved up and finally purchased the Electrolux mixer. I think it was almost 9 years ago now. I haven’t regretted it. I love my mixer so much I also purchased the whipping attachment and the blender too. Both which perform well also. I almost didn’t add this mixer to my list, because of the price, but it is a tool I’ve found to last well and work well. I think for most families the Kitchen Aid mixer would be the way to go, my mom’s lasted a long, long time. Plus this time of year you can find great deals on Kitchen Aid mixers. 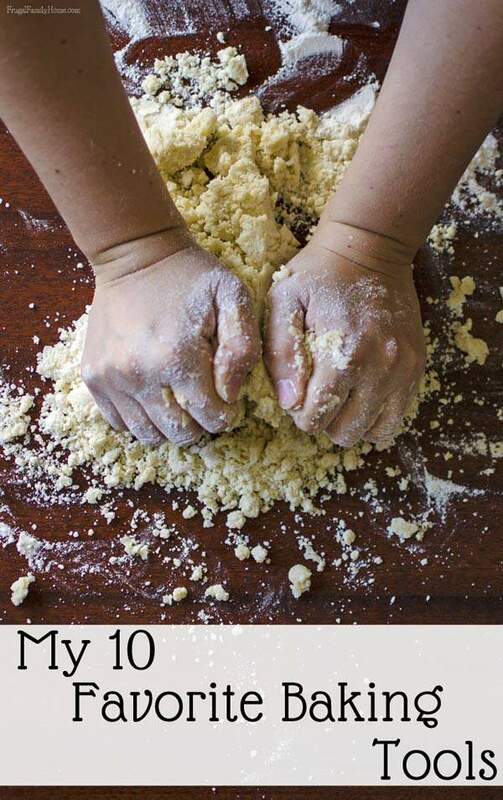 So there you have it, the top ten baking tools I love. I hope you found something that will work for the baker on your gift list. What tool would you add to my list above? I think I use my whisk almost daily. It’s nice to have a good quality whisk that lasts. I’ll have to keep that in mind if my Viking gives out. I was so sad to see it wasn’t available at Amazon. It’s such a good one. I love my Kitchen Aid mixer. And I second good quality, heat resistant spatulas. I use the ones from Pampered Chef and love the durability. Finally, I’d to the list – cookie scoops. 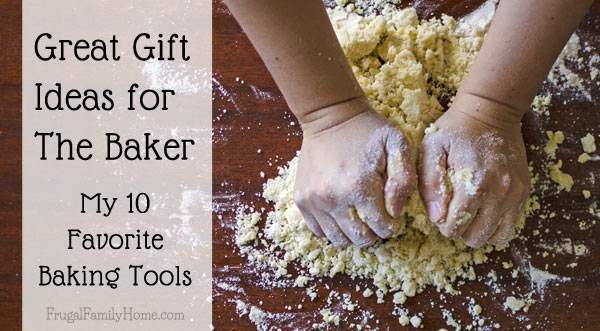 If you bake cookies as regularly as I do, or make muffins, these handy tools are invaluable! My cookies and muffins look so much better now that I use the various sizes when baking. Thanks for suggesting those, Kristen. I don’t own any cookie scoops but I could see how they would be really nice. We make cookies and muffins often enough I might need to pick up a set.